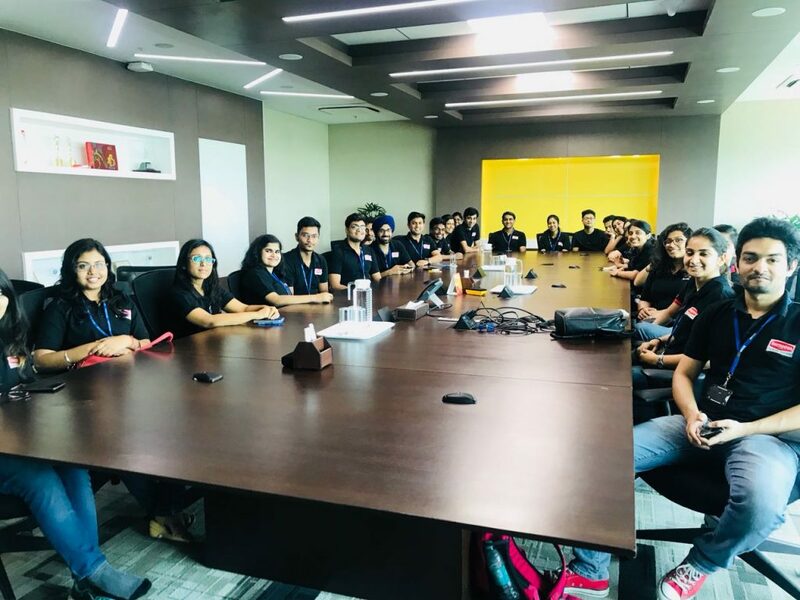 Once upon a time, on 16th September, 2017, Britannia was on our campus to recruit interns for summers 2018, just as it does every year for itself. But for us, it was a big deal, it was coming to XIMB as a fresher, to take into its organisation, both freshers and laterals. Hurriedly after being done with the finance paper for 2nd end term exams, all the concerned people started with the process at 10 in the morning. I had tried my best to be best prepared for it, because somewhere in the subconscious, I really wanted to see myself there. The nervousness and excitement increased alike for me when I cleared the GD and reached the interviews. I recollected the pre-placement talk by the bigwigs, closed my eyes and gave myself a moment to calm myself before entering the room. They asked me to be comfortable and the interview felt more like discussing my life, interests and dreams. It was really easy for me to talk about things which made me, and I did not have to put any extra effort to make anything up or think hard about anything. When it ended and they asked me the mandatory question if I wanted to ask something. I asked them if I should be prepared with something before joining if selected because I am a fresher. They replied, “Just complete your 1st year MBA with diligence, rest all will be taken care of when you join”. Then I didn’t understand if that was an indication to a good news, or if it was a common response for all interviewees. At 5 in the evening came the results. They called out the first name and then the second, oh, it was me, the second name was Pratibha. It was one of those moments which remain fresh in your heart till your last breath and beyond. I, being a fresher, was selected to work in an organisation for the first time, and it could not have been more special, grand and pronounced than doing so at Britannia. It is a name, a brand, an emotion which has been experienced by my grandparents and I am pleasantly optimistic about it being felt by my grandchildren too. My parents, my siblings, everyone in my family, my teachers, my roommate, all my friends, they were very happy and proud of me, and then dawned the realisation upon me that I have done a pretty good job and it’s time to celebrate. Two hours of feeling on top of the world and then life returned to normalcy. It remained so till 2nd April 2018, after which commenced a roller coaster journey. All of us interns were welcomed at Britannia Gardens, Bangalore (Yeah, their fancy guest house) and we were left to ourselves to ponder and imagine whatever we could about what the induction would be like. All the heightened energy and imagination was catered to when we received a mail from our HR regarding the schedule. I have to write this that it was a dream, an out of the world feeling when we were allowed inside the Bidadi factory, and in the R&D centre. Eating that freshly baked biscuit straight out of the oven and witnessing its excursion from dough till getting packaged into those packs we buy from the market, it felt as if we have achieved something worthy to be presented in the Guinness Book, trust me, it was that special. The next 3 days had us in the Conference room, listening to all the stalwart executives in Britannia. The functional heads, the HR team, the safety director, all of them spoke to us, congratulated us and wished us all the good luck. It was an honour, a privilege to listen to those dignitaries live, whose interview excerpts we only read in posts and news. They were real-world human beings in front of us, very firmly rooted to the ground and very highly placed in the intelligentsia. The office campus was appealing to all sense organs of us all. We were enthralled by its majesty, everything was gorgeous- The lobby, reception, cafeteria, cubicles, cabins, all of it oozed the aura of Britannia. My project brought me to Kochi, Kerala, to God’s own country. I was working under Mr. Sulabh Vij, the Product Manager for premium creams. Much to my happiness, I was given a marketing project on premium creams market in Kerala. It has been a tough and an amazing experience. Visiting the markets with the salesperson, getting treated as Kerala’s guest by the old ladies in the shops, being introduced as Britannia’s to the shop owners, earning so much respect from everyone at the distribution points, taking snapshots of the picturesque scenic beauty of Kochi, trying my level best to contribute the maximum to the project and living up to the expectations of everyone around me, my guide and my parents, connecting with peers and cribbing about work, and then narrating episodes from workplace with pride to friends, having a strong urge to see my family, my friends and then realising that these two months are an awarding opportunity for life, all of these above anecdotes have constituted my story. Now when I look back, I get a feeling of pride, satisfaction and happiness because it was not easy to complete my project in a Malayalam speaking land, surviving on Kerala special food, and working in the hot sunny days. My project had 4 yardsticks- the market, consumer, media and competition. I have learned a lot, it cannot be quantified. I understood the nuances of operation, the stakeholders involved, major and minor both. The theory was put into practice when those lessons of SPSS and Excel taught in the classroom was used to analyse the data and put its meaningful interpretation in the presentation. ‘Buying behaviour, cluster analysis, consumption preferences, patterns, media insights’, these jargons started making sense in the real world. I carried out a pilot project in Kochi and was given complete independence to execute all my proposals. The results of my drive and certain concepts came out pretty good as per my expectations and when the data results came, it again was one big moment for me. The sales figures and offtake had increased by a significant % and I was really comforted for having contributed to my company by whatever small way I could have. The dream carriage has reached its destination. It has given me many pleasant first-times of my life and has aided me with a superb platform for building the next. Every good thing comes to an end, and so did Britannia. It truly was an experience, an opportunity of a lifetime and not many people in the universe are as lucky and blessed as those who get to be a part of Britannia. The people and the culture here exude ownness, and therefore, all of the people out there who aspire to be here, just need to find their true self and show the same to the company. Be true to yourself, true to the company and if your passion is aligned to the feel and essence of Britannia, you just find your way here, because that is how simple and sweet their criteria are. In these months of my life, I have gathered as much erudition as possible and lived my life as a ‘Britannian”, and it still continues to overwhelm me, with strong drives of ecstasy, honour and humility, all together on parallel lines.